which fit babies up to 14lbs. We use Pampers Swaddlers because they are the best you can buy, and we use size 1 instead of size Newborn because they fit the new baby longer. Average birth weight for a newborn is 7 pounds. If baby is born a little smaller, he will still grow into these diapers. If baby is a butterball (my daughters were 9lbs. 9oz. and 9lbs. 12oz.) 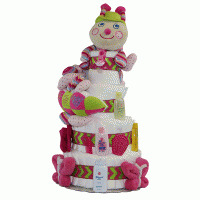 she will still be able to wear all the diapers in the diaper cake before she outgrows them. 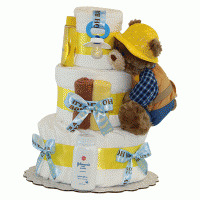 Using size 1 diapers also gives parents the option to enjoy the diaper cake for a little while longer before they have to take it apart. 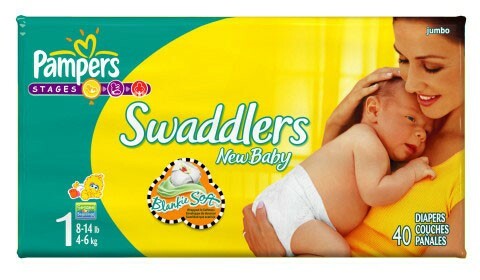 Pampers Swaddlers are truly the cadillac of disposable diapering. If it's posh you want, then Pampers are the way to go. 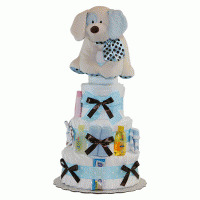 Even the most discriminating new moms will be thrilled to receive a diaper cake constructed from top-of-the-line Pampers Swaddlers. You simply cannot buy a more luxurious and leak-free disposable diaper. For more information, please visit Pampers' website. 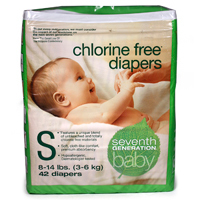 are safe and gentle for baby and the environment. These organic baby care items smell great, work wonders on diaper rash, and are made from pure and organic ingredients, free from harsh chemicals, and trusted by environmentally conscious moms everywhere. 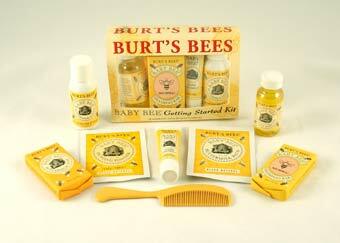 To learn more about Burt's Bees baby products, please visit their website.